Most airports with airline service employ a few trained firefighters, rescue workers and police, peace and/or security officers some of whom may be trained as emergency medical technicians or paramedics. Typically, airport firefighters are skilled in both aircraft firefighting as well as building or structural fire fighting. To meet the need for a high level of safety, most airports with airline service must maintain firefighting and rescue equipment. Working conditions vary depending on the position. Safety personnel work in a number of non-emergency and emergency situations including aircraft rescue, medical, fire, investigating complaints, suspicious persons, responding to alarms, alleged criminal or illegal activity and causes of accidents, issues traffic and parking citations. Due to the exposure of hazardous materials, protective clothing and safety equipment may have to be worn as mandated by OSHA. Safety personnel are considered essential employees and are subject to being on call 24 hours a day to work in the event of an emergency. Availability to work varied hours including swing and graveyard shifts, weekends and holidays is required. Safety personnel must react promptly and correctlyl in emergency situations. Essential duties require physical skills and persons appointed to safety positions may be required to pass pre-employment physical/stress and medical examination. Employees may be required to maintain a prescrived level of physical fitness and take a physical adility/ability test to determine ability to perform work. Safety personnel must have the ability to lift 25 lbs.,work in estreme temperatures of heat or cold around noise, vibration, chemicals, flammable materials, and mechanical and electrical hazards. A valid drivers license is neccessary since assigned duties may require the operation of motor vechicles. Graduation from a standard high school or possession of a high school equivalency certificate. Airport firefighters must be properly trained to perform their duties and hold an Airport Firefighter Certification. Depending on the safety position, other certificates or licenses may be required. 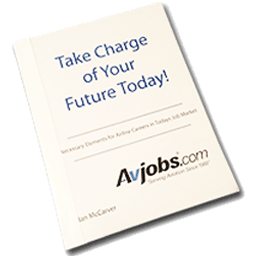 To view the latest industry opportunities, become an Avjobs.com Member today!Click here to get started! Air travel in the U.S. grew at a rapid pace until 2001, expanding from 172 million passenger enplanements in 1970 to nearly 615 million in 2000. However, over the next 3 years, a combination of factors, the events of September 11th, 2001, an economic recession, and other factors combined to reduce traffic back to 1995 levels. After September 11, 2001, air travel was severely depressed. Nevertheless, air travel remains one of the most popular modes of transportation. Recurrent training is defined as that training provided to an employee as often as necessary to enable him/her to maintain a satisfactory level of proficiency. Appropriate frequencies for recurrent training will vary widely from airport to airport and from one employee to another. Training in several areas will require coordination with airlines and other organizations on the local airport. Airport familiarization, aircraft familiarization, rescue and firefighting personnel safety, emergency communications systems on the airport. To locate educational facilities with programs related to this position, see Avjobs Aviation School Directory. The Avjobs Aviation School Directory makes researching and finding an aviation college, university, flight school or professional training facility simple.